There's nothing I can type about Michael Jackson that you already don't know. 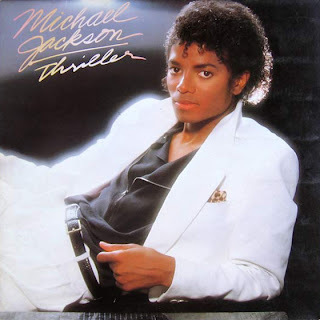 Best selling album of all times from one of the best producers of all time, Quincy Jones. I can't imagine ''Thriller '' without excellent voice of Vincent Price and a laugh that scares the s... out of me first time I heard it (I was just a kid then). Here's my crossover on this...well...real classic now. I used original album version, instrumental, audio from well known video and part of voice over session from Michael Jackson and Vincent Price. Due to different audio sources, sound is not HI-End perfect but I hope you can overlook this and still enjoy in 9:41 long Dodi's crossover. Cool version! I like Vincent Price's voice in it too. Ever hear Alice Cooper's Black Widow? Price has a very cool talking bit in that song too. Thx cygnet....I'm glad you like it. Thx for comment as well it keeps me going further.